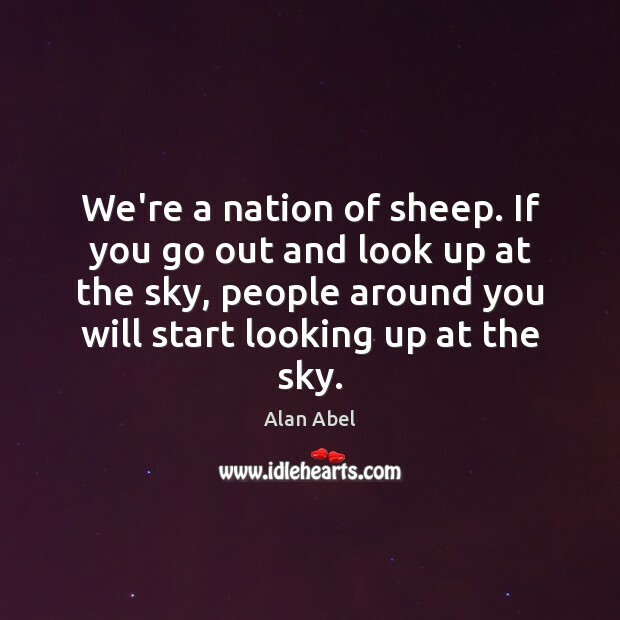 Enjoy the best inspirational, motivational, positive, funny and famous quotes by Alan Abel. Use words and picture quotations to push forward and inspire you keep going in life! We're a nation of sheep. If you go out and look up at the sky, people around you will start looking up at the sky. Even with clothing naked animals, there were people who wanted to send in money. A woman in Santa Barbara, California, sent a $40,000 check. I fondled it for about five minutes and then sent it back. I told her I couldn't accept money from strangers. 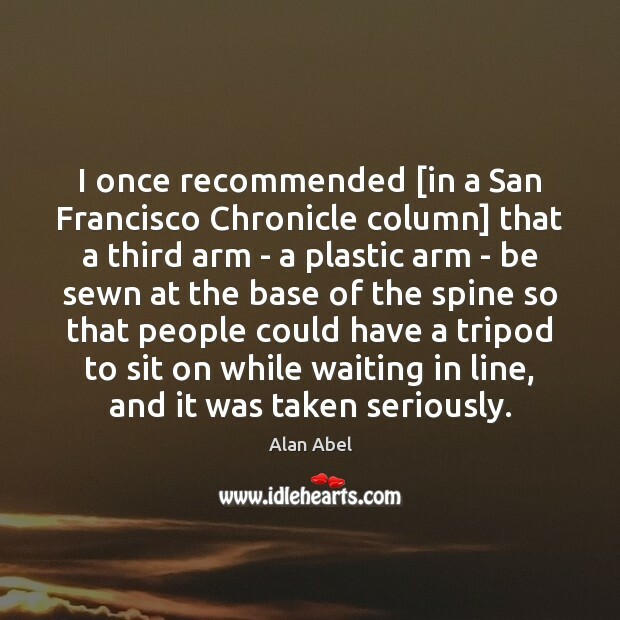 I once recommended [in a San Francisco Chronicle column] that a third arm - a plastic arm - be sewn at the base of the spine so that people could have a tripod to sit on while waiting in line, and it was taken seriously. I look at the newspapers, and I cannot believe most of the stories I read. 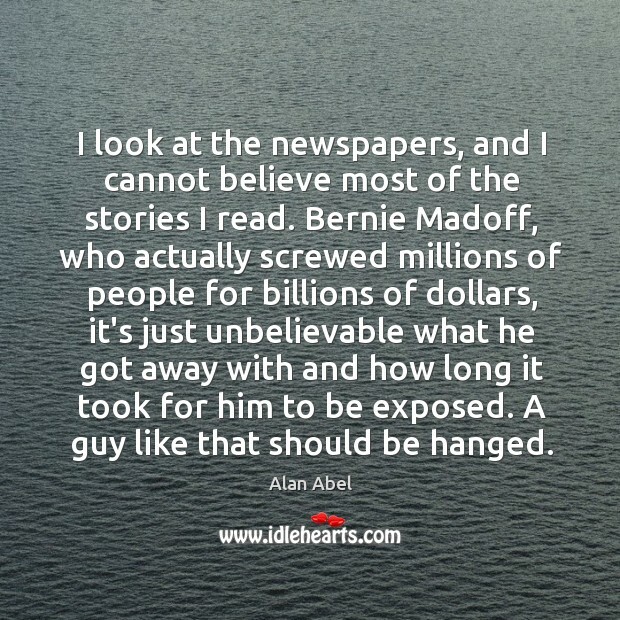 Bernie Madoff, who actually screwed millions of people for billions of dollars, it's just unbelievable what he got away with and how long it took for him to be exposed. A guy like that should be hanged. My credibility is zero. 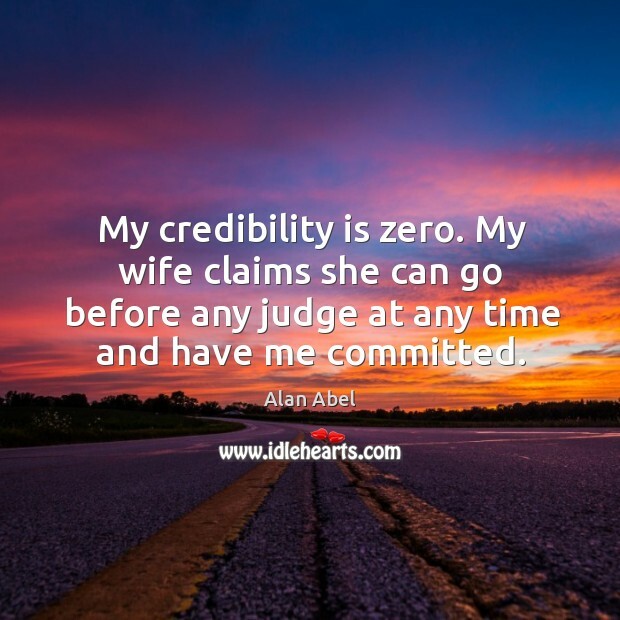 My wife claims she can go before any judge at any time and have me committed.